The five scores nominated for the Academy Award were Out of Africa by John Barry, Agnes of God by Georges Delerue, The Color Purple by Quincy Jones, Silverado by Bruce Broughton and Witness by Maurice Jarre. The winner was Out of Africa, but they are all here, and together for the first time! James Horner composed one of his most-loved scores for Ron Howard’s Cocoon and Michael Kamen composed an absolute masterpiece for Terry Gilliam’s acclaimed satire Brazil. 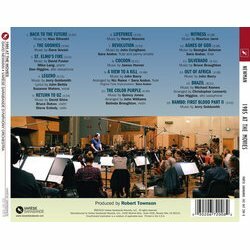 1985 saw John Barry compose his second to last James Bond score for A View To A Kill. 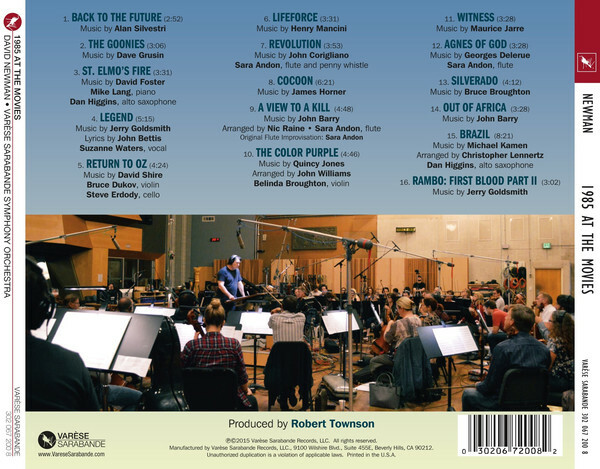 The music for Rambo: First Blood Part II was one of Jerry Goldsmith’s biggest hit of all time! 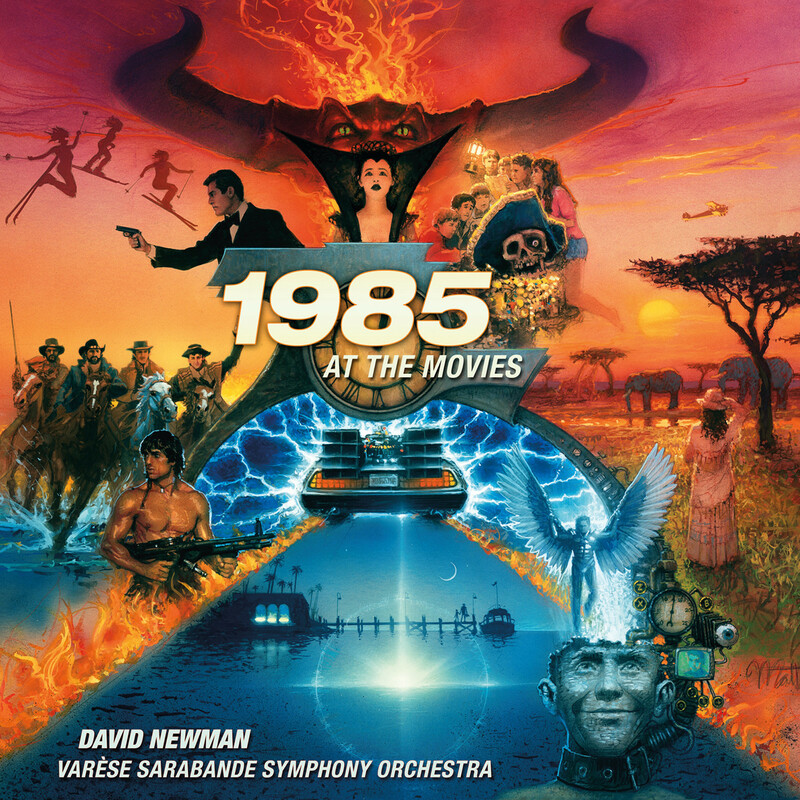 To record this amazing collection of great film music from 1985 we created the Varèse Sarabande Symphony Orchestra, an all-star orchestra made up of the best musicians in Los Angeles. We also included an astounding group of brilliant soloists, including flutist Sara Andon, violinists Belinda Broughton and Bruce Dukov, pianist Mike Lang, saxophonist Dan Higgins and singer Bobbi Page, among others. To conduct this astounding group of musicians we had the great composer David Newman! The entire project was produced by Robert Townson, who also wrote the detailed booklet of liner notes.